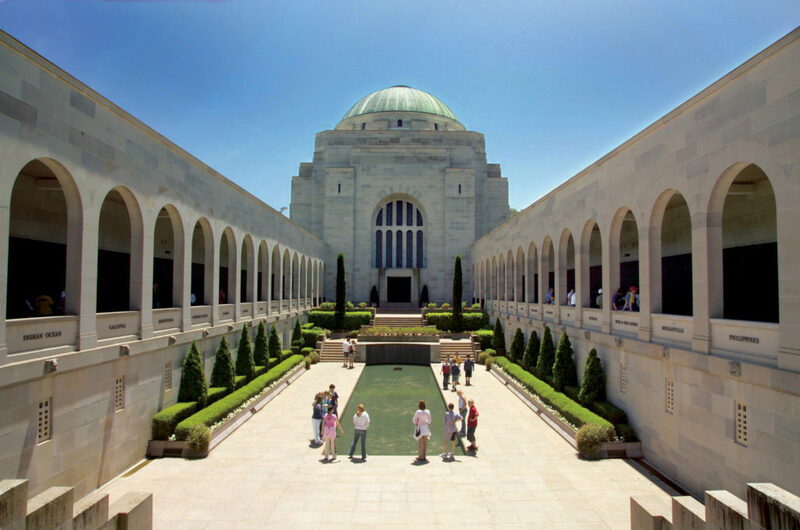 Develop an understanding of Australia’s origins, political history and layers of government with visits to Parliament House, the War Memorial and the Royal Australian Mint. With an array of attractions and experiences on offer, schools have an incredible opportunity to diversify their tour to meet their specific curriculum requirements. Thousands of students discover our nation’s capital each year and come away with amazing memories and life-long impressions of Australia’s past and present. A trip to our nation’s capital is a right of passage for all Australians. Canberra offers an extensive range of fun and educational activities for all learners. On the move Assemble at school for your departure. Canberra Arrive in the capital and enjoy dinner. National Museum Learn about Australia’s history, cultures and environment during the 2-hour Unpack the Museum tour. National Capital Planning Display See audio visual displays, models, photographs and drawings that explain how and why Canberra was built in its unique way. Participate in the 1 hour educational program. Mt Ainslie Enjoy the panoramic views of Canberra from Mt Ainslie. Australian War Memorial Finish the day with self guided visits to the Hall of Memory, Roll of Honour, Aeroplane Hall and the War Museum. Australian Institute of Sport Enjoy a 45 minute guided tour of AIS’s world-class sports training and competition facilities. Royal Australian Mint Take a 1 hour guided tour which includes a theatrette presentation and an opportunity to participate in the ‘make your own coin’ experience. Embassy Drive Take a drive through Canberra' Embassy row, home to 80 embassies! High Court of Australia Visit the pinnacle of the Australian judicial system. Parliament House Visit the location of our nation’s government. Telstra Tower Enjoy a night lights tour with an amazing panoramic view. Electoral Education Centre Participate in a 90 minute educational program at the EEC where you will learn from first hand knowledge about our electoral system and how it operates. Old Parliament House Take part in a 1 hour education program at the Museum of Australian Democracy, later visit the Flags of the Commonwealth walk. National Gallery of Australia Home to our national art collection, enjoy a 1 hour guided tour. Questacon - National Science and Technology Centre Explore this fascinating hands-on science exhibition which houses over 150 exhibits in 6 galleries. Departure Bid farewell to Canberra as you begin your journey home. Arrival Arrive back at school. Thank you for your interest in our WorldStrides Canberra Tour! Please tell us a little more about yourself so we can get you sent to the right place.